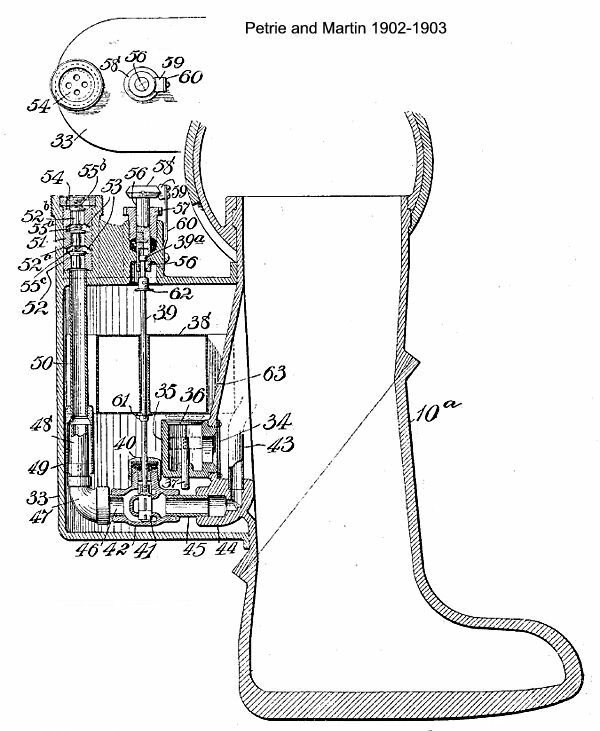 The following year, an improved dress was patented by the same inventor in conjunction with Martin. 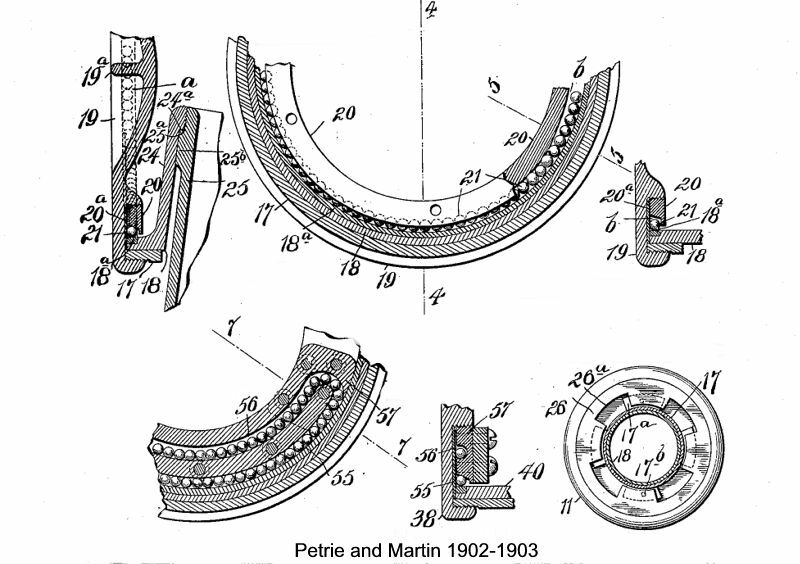 In this, the friction of the joints was to be obviated by mounting them on ball-bearings. 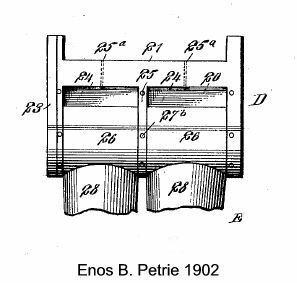 Neither in this nor the previous patent is any clear indication given of how it is proposed to keep the joints watertight, yet the rubber envelope presumably intended to serve this purpose with the 1902 dress is now discarded. 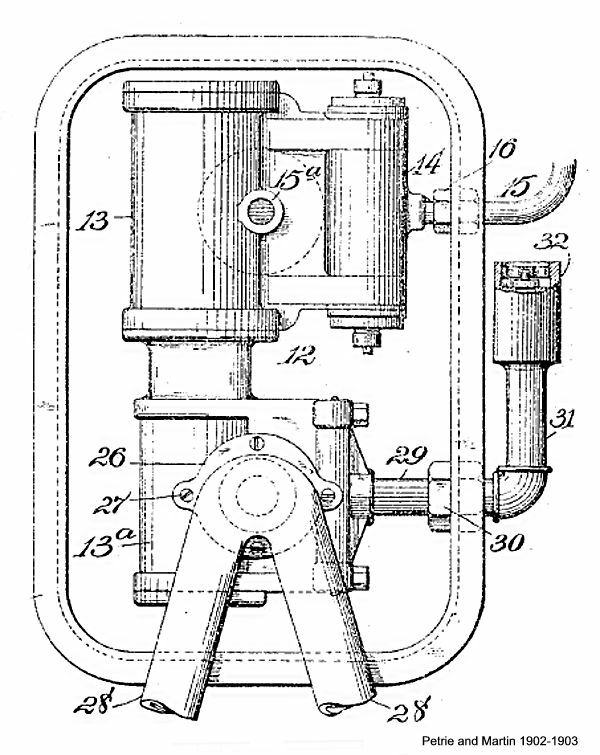 Possibly Messrs. Petrie and Martin determined to put up with a certain amount of leakage as unavoidable, for in the following year we find them taking out a patent for a pump designed to expel water from armoured diving-dresses. It is operated by com­pressed air, and is shown in two alternative locations—in the small of the diver's back and on the calf of his leg. 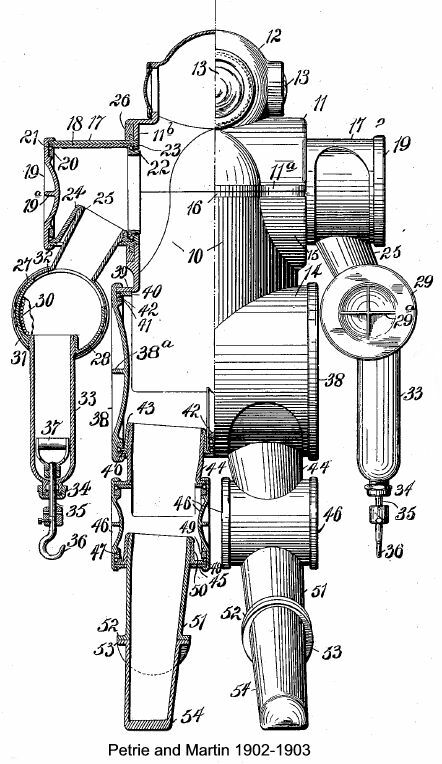 Enos B. Petrie, of U.S.A., designed in 1902 an armoured dress having ball-and-socket joints of a somewhat peculiar type. The "socket" portion of the joint was double, and passed on either side of the "ball" shell. The friction of such joints would be considerable. At the shoulders, annular joints were used, kept watertight by leather packing-rings. It was proposed that the whole dress should be enclosed in a rubber envelope.